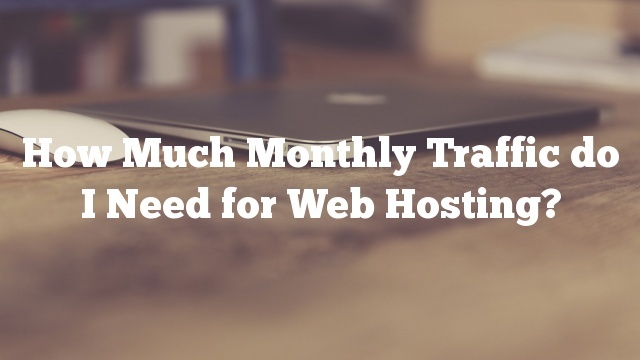 How Much Monthly Traffic do I Need for Web Hosting? How Much Monthly Traffic do I Need? I need web hosting. However, how much bandwidth (monthly traffic) do I need? It depends on the type of your website, its contents and the number of visitors you have. Most of the websites will not generate more than 1 MB per visitor. Having 100 visitors per day x 30 days makes around 3000 MB or 3 GB. If you have an image gallery, it may be a bit more costly. Consider a good quality jpeg image optimized for the web is around 300 KB. An average visitor opens about 50 images per visit. Having 100 visitors per month that makes 0.3 MB x 40 × 100 × 30 = 36000 MB or 36 GB. Now the most bandwidth costly websites are the ones that offer big file downloads or video/audio streaming. 1 minute good quality video optimized for the web can be around 5 MB. Consider an average user plays about 30 minutes of video per visit. Once again having 100 visitors per day makes 5 MB x 30 × 100 × 30 = 450000 MB or 450 GB. Finally, I want to note that 100 visitors per day is quite a good result for a website. You can always start with a cheaper account and upgrade when your needs grow. I cannot recommend the services that are offering unlimited traffic as those are typically having their methods to limit you, e.g., by a traffic caps. 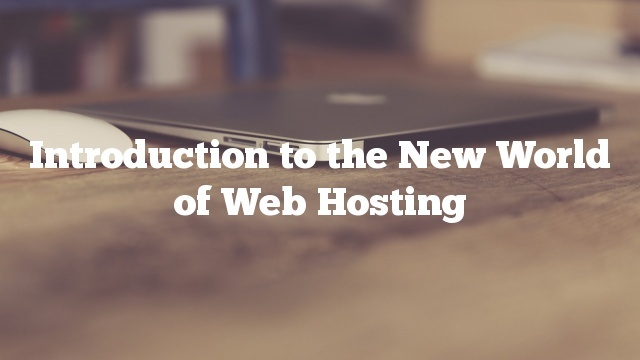 There are countless hosting websites on the internet. HostingManual.net has an excellent list. Dedicated server hosting, shared hosting, VPS as well as all the others, each of these options presents its ups and downs. Dedicated web hosting is not an uncommon option anymore, with e-commerce becoming a somewhat standard feature in websites. Supporting such hosting are dedicated servers that make it possible to have a server for your specific use, without having to share it with anyone. You also get complete control, flexibility as well as performance to match your business needs. Shared Hosting, in webmaster’s terms, is regular or conventional hosting; it puts your website on a typical server, sharing it with other sites. Most of the websites online today use this plan, and it’s one of the most commonly used options, particularly among start-ups and individuals with necessary website requirements. However, while using a shared server, it may make sense to use a dedicated IP. This provides better protection to your website. The only downside is that in case your website receives a large number of visitors, on a given day or every day, you will feel the pinch of the lack of resources in a shared server arrangement. In such a case, it is recommended you select VPS plans instead. Green web hosting has arrived in a big way. Many of the existing companies are known not to be very energy efficient. Green web hosting provides an opportunity for the company to buy carbon credits and offset their production of carbon dioxide. Wind power and solar energy are used to fulfill the need of power. VPS is another technology on the rise among many companies as it provides an excellent return on investment. What VPS provides you is a combination of the reliability associated with a dedicated server, on the one hand, and the lower cost of a shared server on the other. Reseller plans provide the user with complete control of multiple websites by using just one control panel. Leading providers can offer you flexible reseller packages as most of them provide excellent service as well as quality support. This kind of hosting is attractive as it allows you to pay a flat fee, and then resell plans yourself, thus generating profits on comparatively small investments. Cloud hosting, as opposed to traditional methods of web hosting that use a single server, is operated on multiple web servers simultaneously. Cloud web hosting is touted as the next level of shared hosting as it allows companies to host many different applications across many servers. The possibility of using the supposed limitless power of multiple servers is just one of the advantages of a cloud server. Many websites providing hosting reviews give first-hand information to those new to the scene. By referring to such information available online and closely following forums and discussion threads, you can get a fair idea of what is suitable for your requirement. Using the experience of other customers, businesses and individuals as pointers can save not only money but also valuable time. 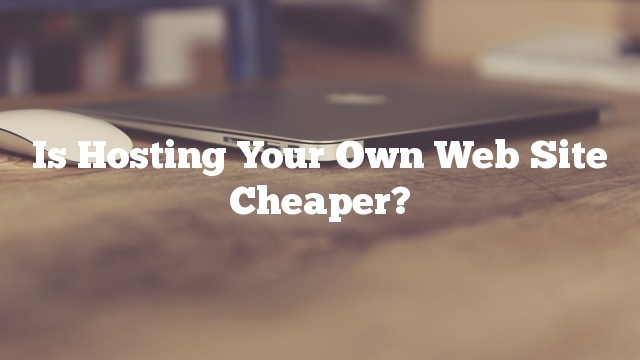 Is Hosting Your Own Web Site Cheaper? The other day I was talking with a friend. She wants to start a blog. We quickly arrived to the topic of web hosting and I was explaining her how it was one of the most critical factors in her success (besides a good domain name). Paying for web hosting can be a significant expense depending on what your needs are. Many times, as a Web site is developed, it is developed in a different place than on a live Web site to ensure that no information is leaked before it is intended. Many Web site developers develop on a pre-production server hosted on their personal computer or on an old computer they have set up as a development server. If development takes place on your own server, why wouldn’t you just host your production server as well? Consider the following items when asking yourself this question. A web server is similar to a personal desktop or laptop in that the computer will need to be maintained. Hardware will need to be replaced if it breaks, hardware will need to be upgraded when you need additional storage space or memory, and new hardware will need to be added as your Web site becomes more popular. Software updates are released on a regular basis for security fixes, bug fixes, and additional features. Many times updates will go smoothly, but sometimes there are problems. Some updates intended for one application cause problems with a related application and can create down time for you Web site. You will need to have a machine to test updates and upgrades on prior to performing them on your live web server. Security is one of the most important areas of concern for web hosts. No one wants to submit his or her information to a Web site without knowing that his or her data is secure. Security has more to do with web sites than verifying the data that is entered into a form. The web server software that runs the Web site has to be secure, including the FTP server, apache or IIS server, and operating system. All software on the host machine has to be 100% secure. There are many hacking attempts every day on popular Web sites, and I can’t stress the importance of guaranteeing a safe and secure Web site for your customers. Ensuring that your Web site is available starts with providing power to your hardware. When you pay for a web host, their servers are located in a data center that has a redundant power supply. If a power outage was to occur to the data center, their backup generators would be able to power the necessary equipment to keep your Web site online. At home, with your own web server, it would cost money to have a battery or generator backup system. Generators would cost extra for the price of the gasoline needed to power them. Power redundancy is another feature included in the price of most web host plans. Data backup is a no-brainer. When you pay for a web host, the majority of the hosting companies are backing up your data both on site and off site. This protection is included in the price of your hosting plan. However, when hosting your own Web site, you will need to take the appropriate measures to guarantee that you have a safe and secure copy of your data in case of an emergency. Onsite backup will require at least twice the amount of space your data consumes, and offsite backup will often require a monetary solution. There are no specified hours of operation on the Web. Your Web site will be online 24/7 with customers around the clock; therefore, you will need to be able to provide 24/7 customer and technical support. If your Web site is experiencing any issues, no matter what time of the day or night it is, you will have to take care of the problem right away. Not being able to provide this kind of around the clock support could cost you a loss of sales, or worse yet, a loss of customers. There are many items that need to be researched and understood when considering moving from paying for a web host to hosting your own Web site. Though it is not impossible, and in some cases may be more economical to do so, most webmasters are better of paying for a web host.